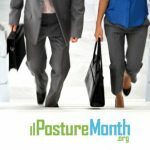 May is Posture Month, so here are 10 tips to ACE your posture from PostureMonth.org to build new habits and retrain posture by improving your body Awareness; taking Control of how you sit, stand and move; and designing the postural Environment right for you. 1. 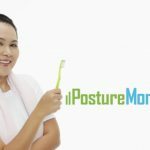 Take a picture: Seeing how you really look is a great incentive to improving posture. Check your alignment compared to a line through the middle of your head, shoulders, hips and ankles. 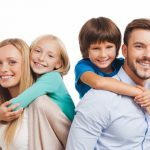 Any camera works for front and side pics, or use the free PostureZone app for any mobile device to visualize and track exactly how your body stacks up. 2. 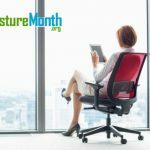 Get moving: Take posture breaks throughout the day. 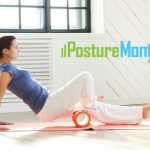 Set a reminder to get up and stretch, or try a postural exercise like the ones below. Moving your body every 90 minutes or so will make a big difference in how you feel at the end of the day. 3. Ground your feet: Lift your heels and come up on your toes, then lift your toes to come up on heels and spread toes. Roll onto the outside edge and then the inside edge of each foot. Press down on all four corners of both feet to connect with the ground. 4. Center your pelvis: Core exercise is not just for the gym. Lengthen your spine with a gentle low back arch and tuck. Repeat for 5 cycles to wake up and reset neglected muscles during your day. 5. Open your chest: Lift your shoulders all the way up, then roll them back, and then release them down. Repeat 5 times to open your chest and relax your spine. 6. Level your head: Imagine a balloon gently lifting the top of your head toward the sky. Keep your head level and focus on a spot directly in front of you to retrain the deep muscles that align your neck. 7. Take 5 Breaths: Belly breathing with your diaphragm is key to strengthening posture. Lengthen your body and spine with 5 slow, aware breaths to let your shoulders relax and clear your mind. 8. Adjust it: There’s no one single perfect posture position, and your body is designed to move. So change it up. Consider a desk that lets you stand up or sit down to keep moving throughout the day. Instead of an office chair, try sitting on a ball or a pelvic for a couple of hours. When taking long trips, adjust your car seat each time you stop. When texting, lift your phone up to eye-level instead of folding your head down. 9. 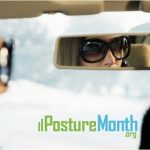 Sit strong: Adjust the rear-view mirror in your car so you have to sit tall with upright posture to see. 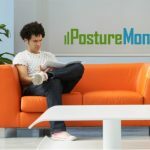 Change the angle of your computer monitor or lift it a bit higher to reduce stress on neck muscles. 10. Stand taller: Head up, shoulders down and pelvis engaged gives you more height and less girth. 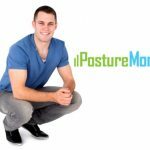 Plus people with strong posture often feel less pain, look younger and feel more confident! 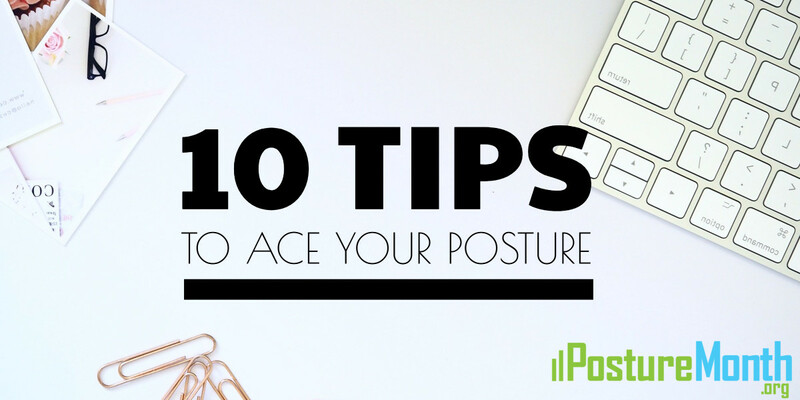 Recheck your posture (Tip 1) a few times a year to keep track of your improvement. 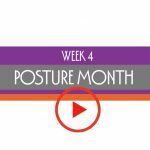 Join the 31 Days to Stronger Posture challenge for daily ideas to move and feel well!